I don’t know what you were planning on bringing today but this submission by Kelley makes me think the Waller Creek Is For Lovers Action And Adventure Society might need to get it together and make another trophy. 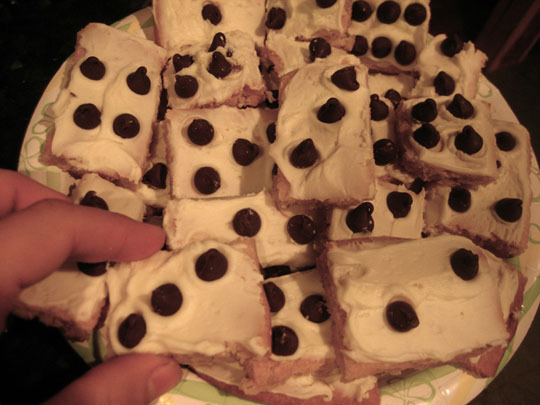 Kelley was quite apologetic about the lack of the requisite two sides to the domino cookies but has promised to fix her grievous error for the rescheduled event. 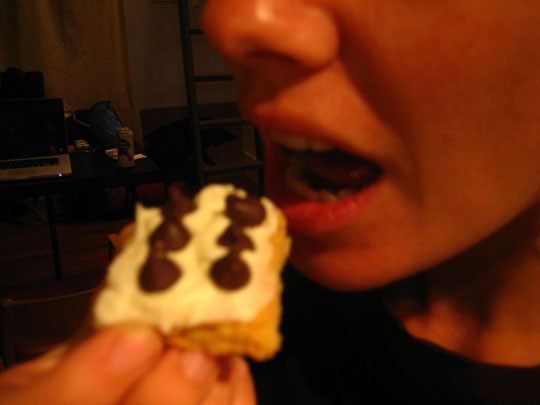 We must admit that one bite or four of Kelley’s domino cookies erased any nitpicking about accuracy…….tasty. Or as Lucy often says in her thick English accent, delicious. So Kelley, you rock. And it goes without saying that you have motivated us to move even faster on the rescheduling of today’s sogged out event, if only to get to try the second round of your cookies even sooner. The Food Tasting And Quality Control Sub-Committee of The Waller Creek Is For Lovers Action And Adventure Society. Tags: austin, make austin weirder, Waller Creek Is For Lovers!